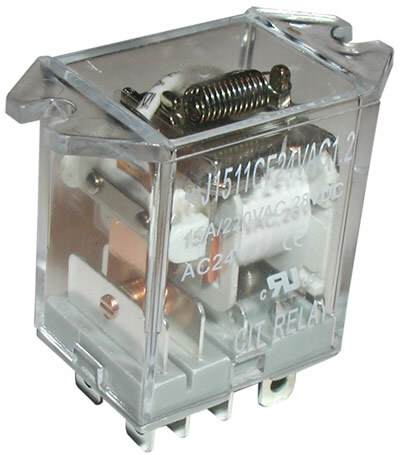 The J151 Series is an ice cube style relay with switching capacity up to 20A. With low coil power consumption and high contact load, the J151 Series has strong resistance to shock and vibration. Contact arrangements include 1A, 2A, 3A, 4A, 1B, 2B, 3B, 4B, 1C, 2C, 3C, and 4C. Coil voltage ranges from 12VDC up to 240VAC with DC coil power options of .90W, 1.4W or 1.5W and AC coil power options of 1.2VA, 2.0VA or 2.5VA. The J151 offers PC pin or solder lug mounting options. 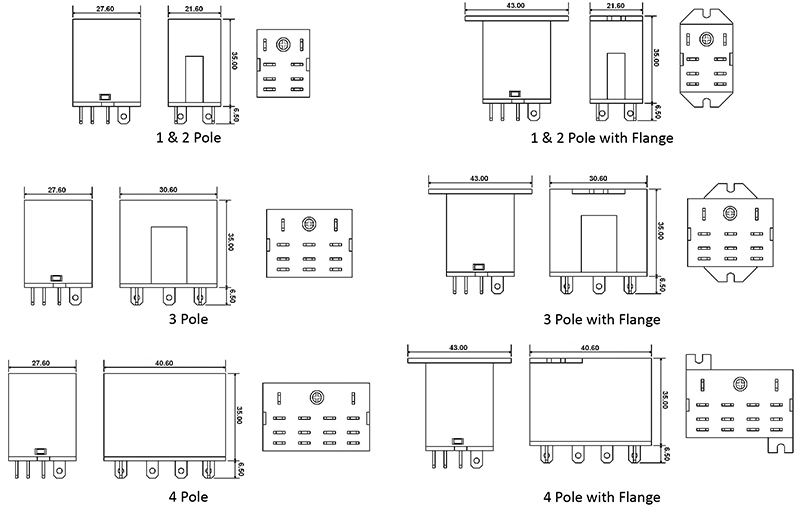 Dimensions are dependent upon style choice with a flange option. UL Agency approval is E197852.